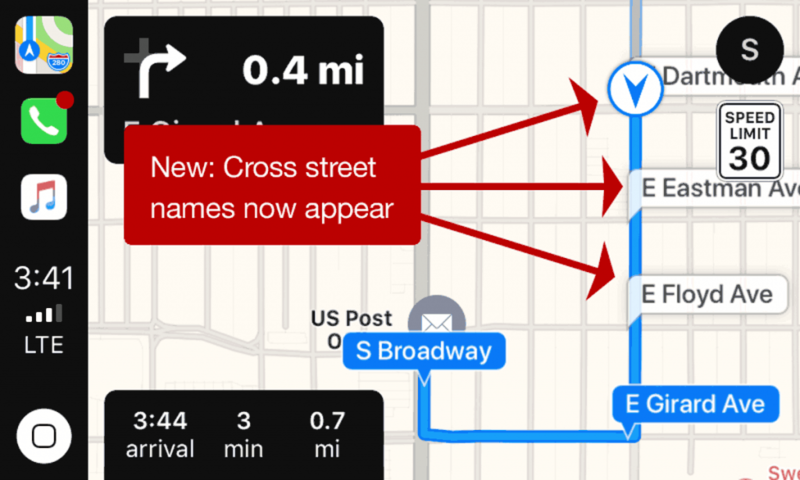 Like a helpful hand from heaven, Maps on Carplay now shows approaching cross streets. This makes it easier to judge when a turn is coming up, or to know which street to cut down to make a shortcut to get where you’re going. I used it yesterday when I cut down Floyd Ave to get to the post office near my house here in Denver, Colorado. Sometimes, we humans are smarter than machines, and in this case I knew turning on the street before the one Maps always tells me to go down is faster, and it was. Because it’s now labeled, I didn’t have to semi-guess the street/watch my car’s progress on the map as I was driving, I just knew where to turn. And thus the best of machines was blended with the best of the human brain to get me to the post office 45 seconds faster. 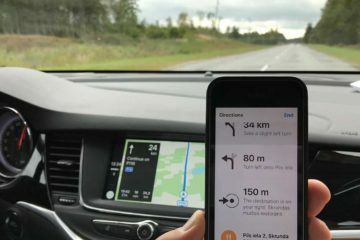 Maps for Carplay continues to be the best-looking map app available to Carplay users, followed closely by Google Maps. Sadly, Waze (my favorite) lags far behind in beauty and legibility. 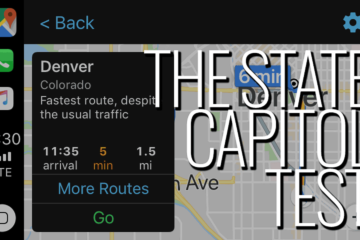 The State Capitol Test: Which Map App Wins?